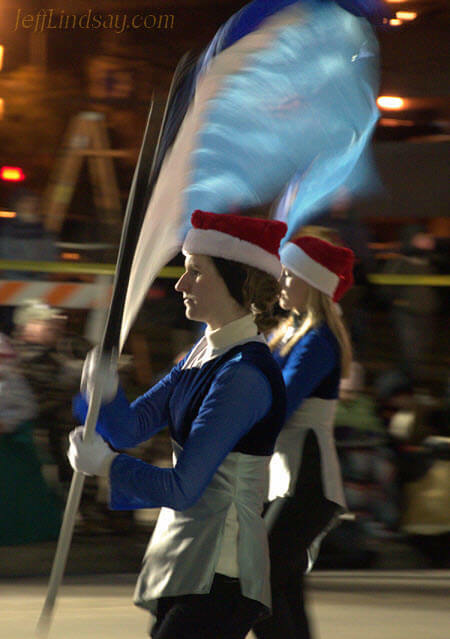 Appleton and the Fox Valley offer many interesting scenes and events. 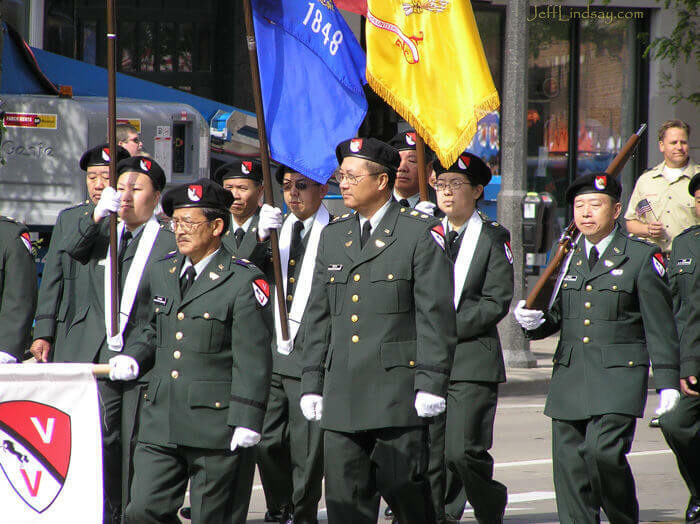 Here are some photos from the Appleton area, mostly from 2009 and 2010, to highlight some local culture, including music and some possibly religious themes and a few less known aspects of the area. This is one of many Apple Shots pages: down on the left are links to others such as Apple Shots #2, Apple Shots #6, or Apple Shots #12. For photos from other realms, check out Friends and Strangers I, Friends and Strangers II, and More Photos of Friends. 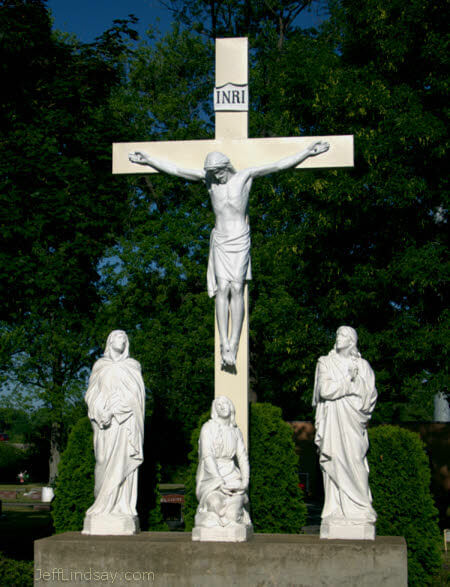 Statues at Appleton Highland Memorial Park Cemetery, July 2009. 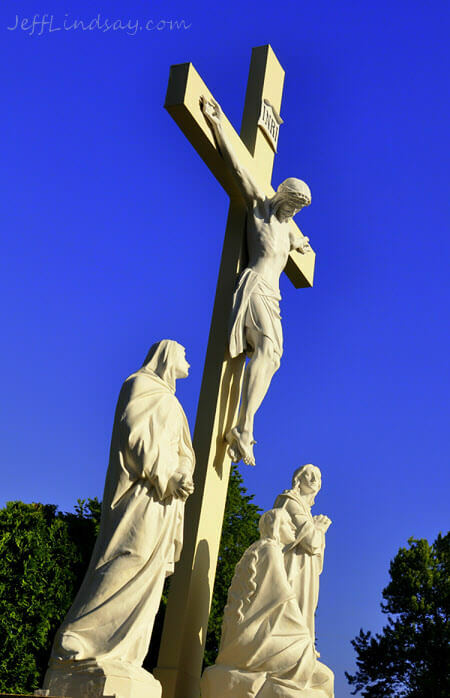 Another view of the crucifix. 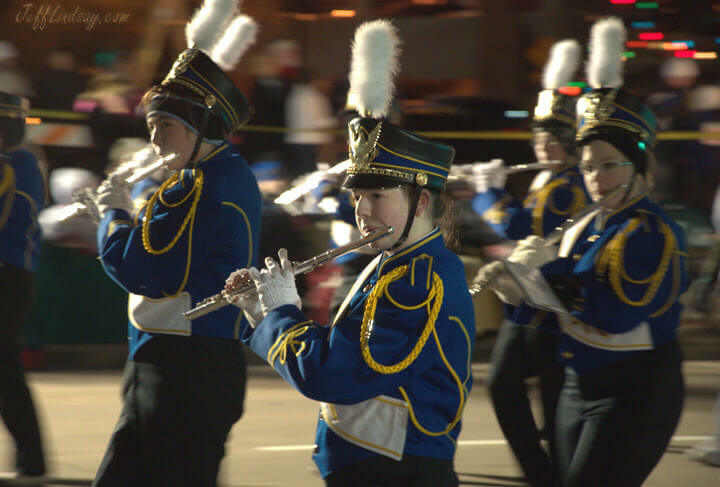 Flutist in a marching band at the Christmas Parade, Nov. 23, 2010. 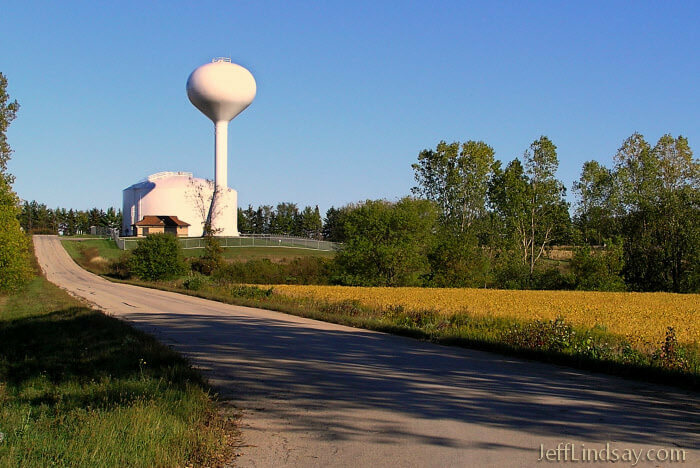 Water towers mark the landscape near Wisconsin towns. Here is one along a country road. One of the Appleton Girls Choirs performing at Lawrence University, March 27, 1010. 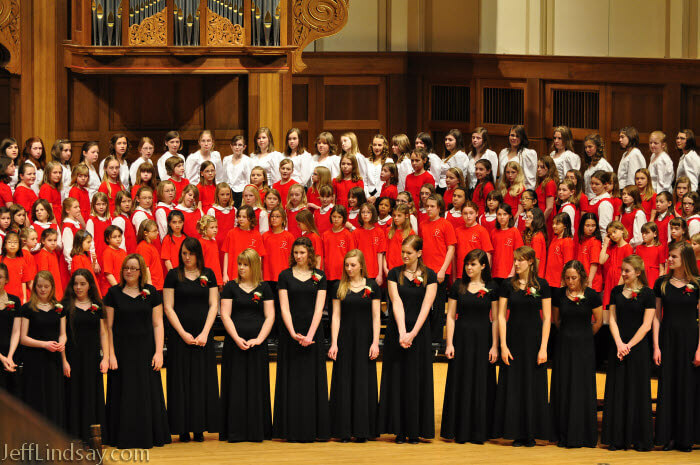 The combined Appleton Girls Choirs performing their finale at Lawrence University, March 27, 1010. 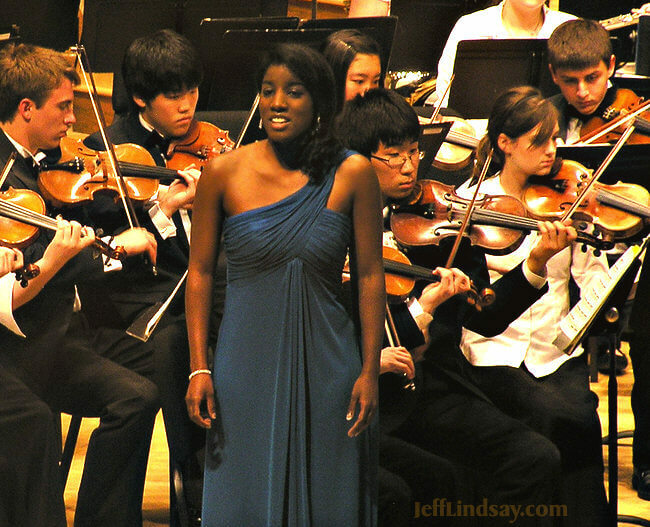 Ariana, a talented performer during a high school event at Lawrence University. 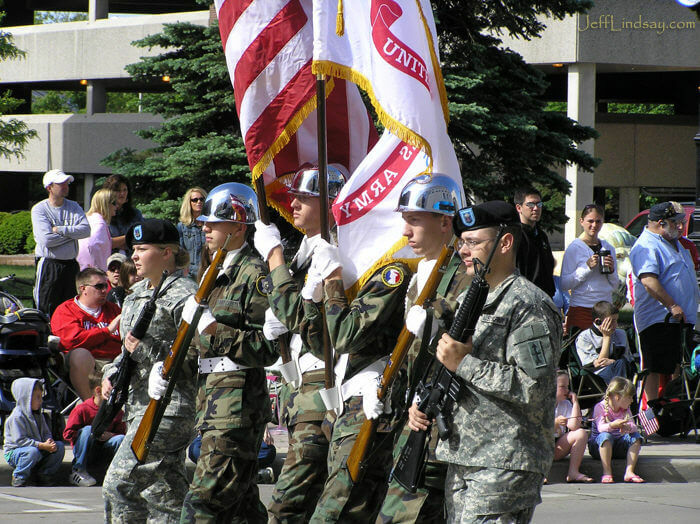 Some of our military helping out in the Appleton Falg Day parade, 2007. 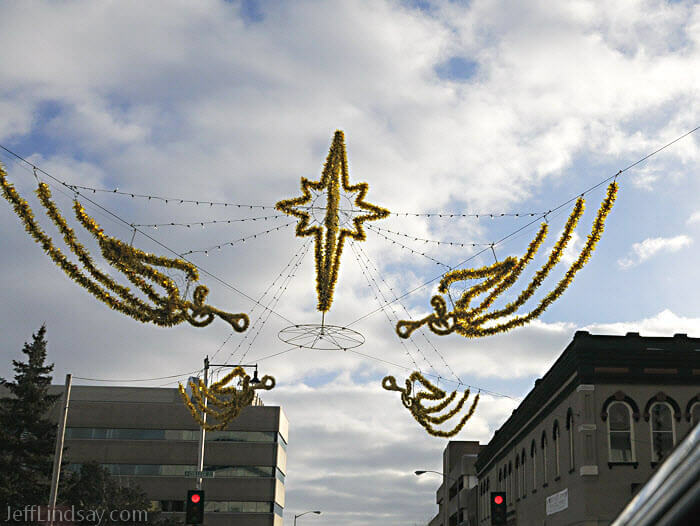 Some of the famous angels that watch over downtown Appleton in the winter. Christmas? Who said anything about that? These are secular angels whose trumpets announce the birth of, uh, some Hollywood celebrity or maybe Elvis reincarnated. And that's the Star of Brooklyn, FYI, not Bethlehem. Sure, we're politically correct. Why do you ask? Creation date: Aug. 6, 2010. Last updated: Aug. 6, 2010.